New York: Picture of the Day : James Watson House ( right) built in 1793 and extended in 1806 , and the Shrine of Saint Elizabeth Ann Seton in the Church of Our Lady of the Holy Rosary in the Financial District of Manhattan. James Watson was the first Speaker of the New York State Assembly and Elizabeth Ann Seton lived next door. 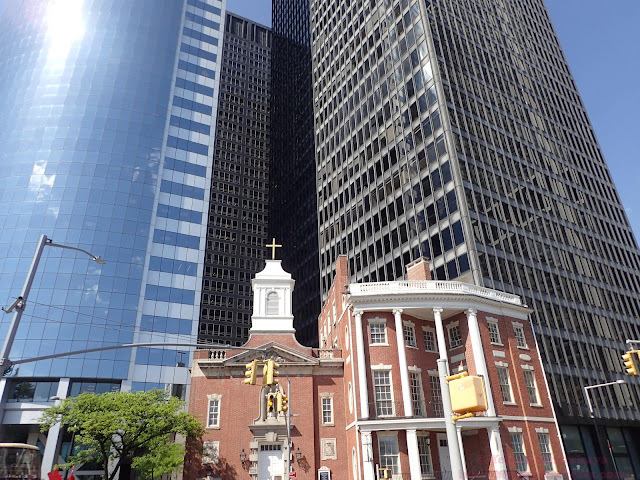 James Watson House ( right) built in 1793 and extended in 1806 , and the Shrine of Saint Elizabeth Ann Seton in the Church of Our Lady of the Holy Rosary in the Financial District of Manhattan. James Watson was the first Speaker of the New York State Assembly and Elizabeth Ann Seton lived next door.